ITW Teks® Roofing Screws Are Used For Applications Including Residential, Construction, Commercial And More. ITW Teks® roofing screws are made of steel for long lasting durability and dependability. 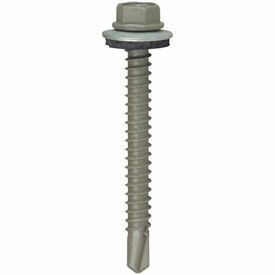 Screws are designed to secure wood to metal with no required drilling. Neoprene washers seal to roofing materials for waterproof protection. Includes self-piercing point for installation ease. Features zinc plating for corrosion resistance. Dimensions vary per model.